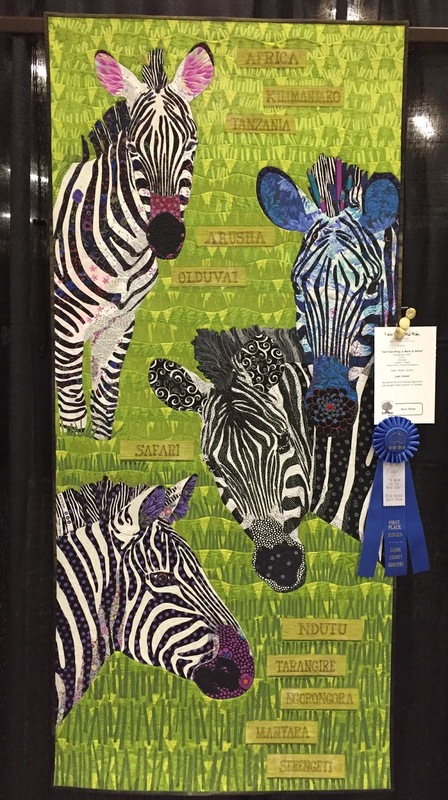 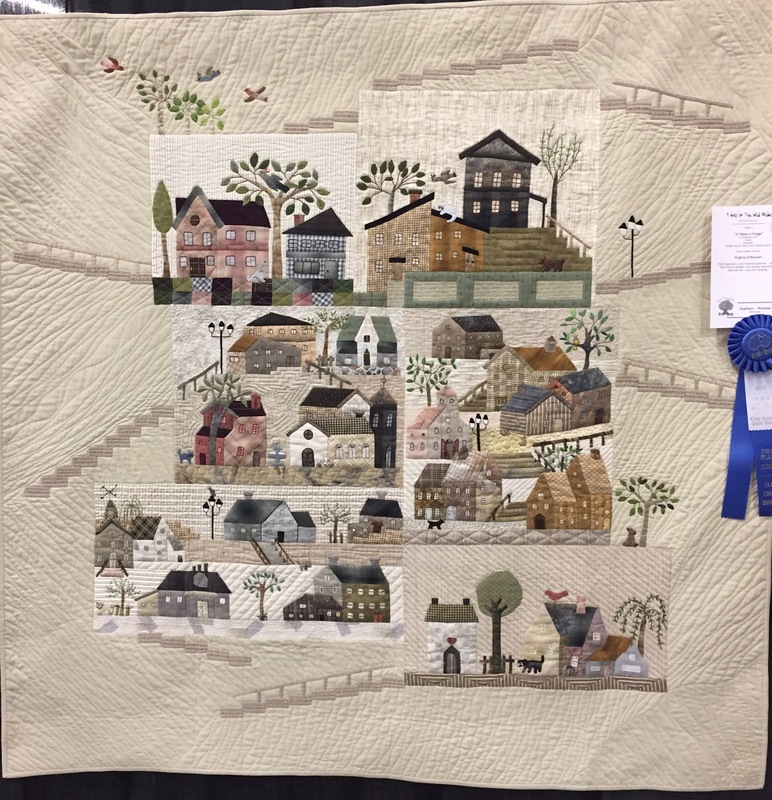 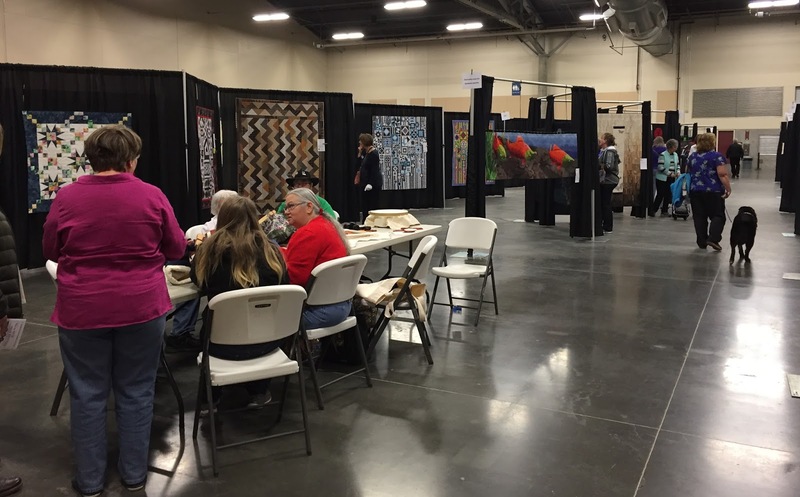 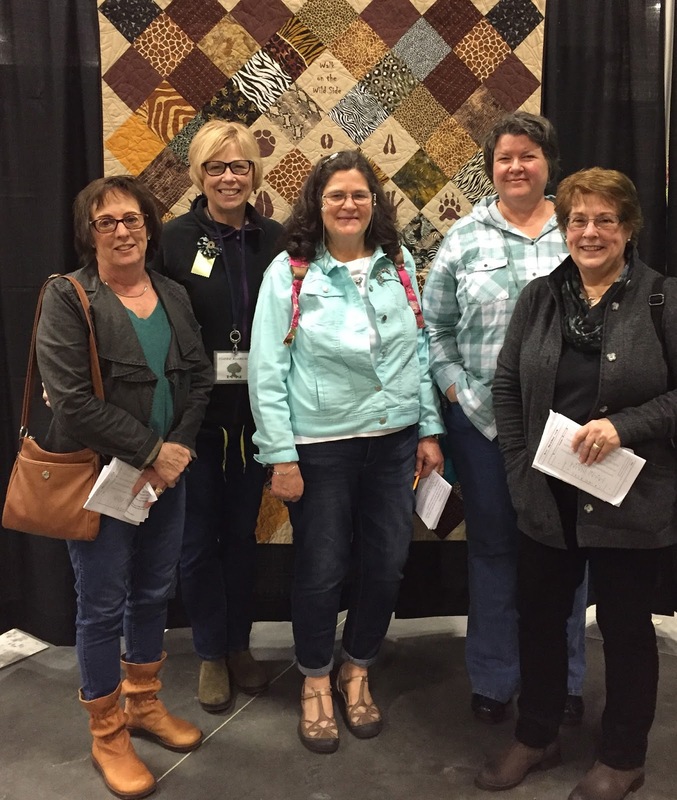 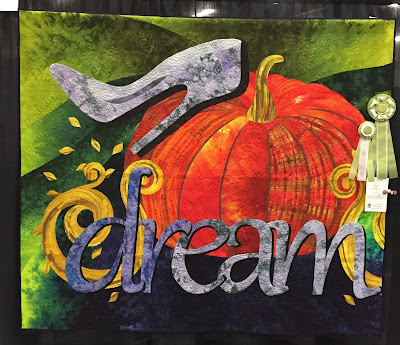 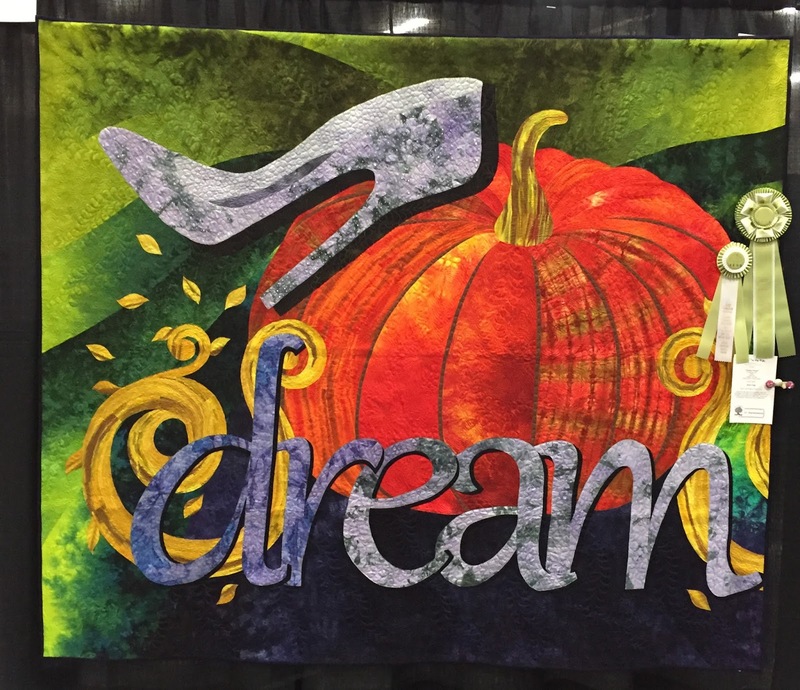 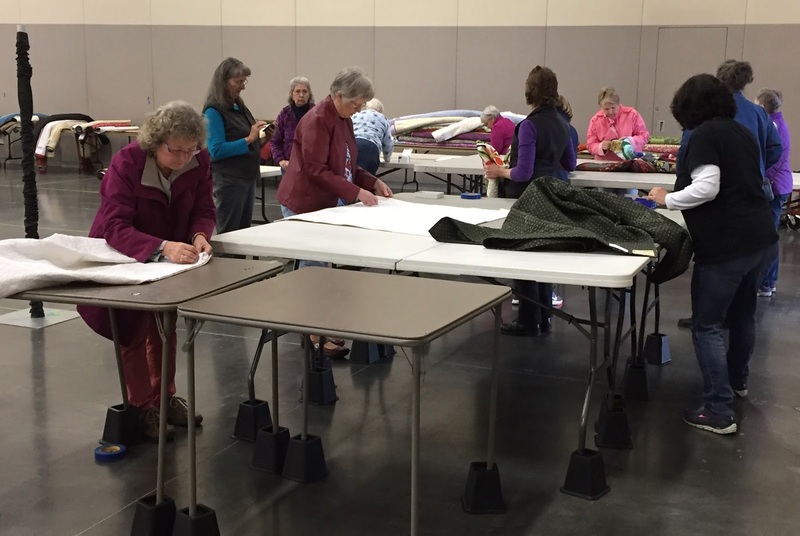 Clark County Quilters has an annual quilt show in April, and this was another stunning display of quilts. 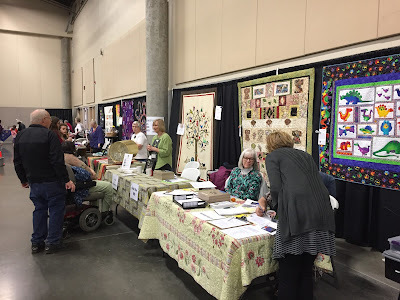 It was bigger and better than last year, which was hard to top! 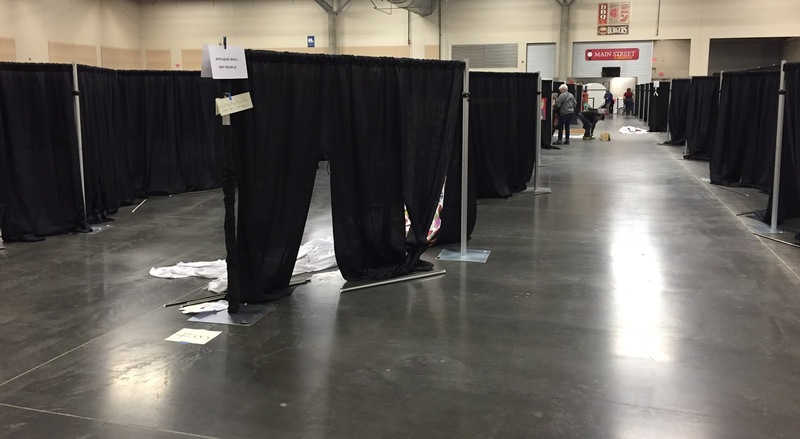 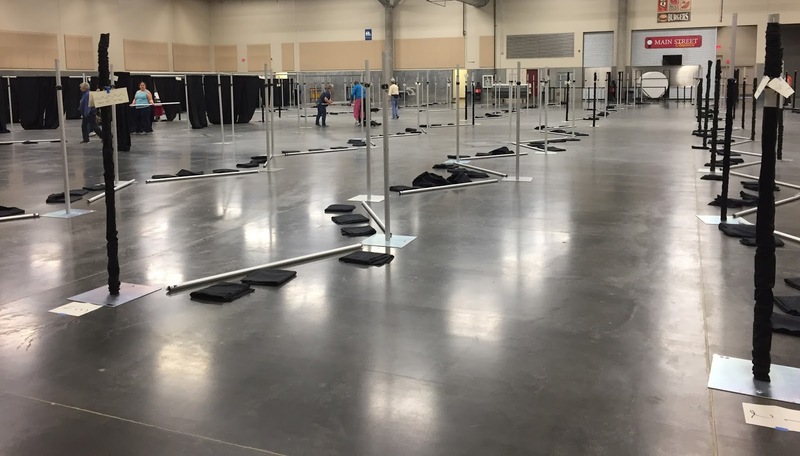 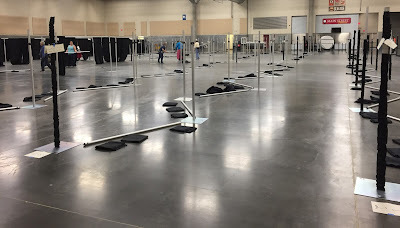 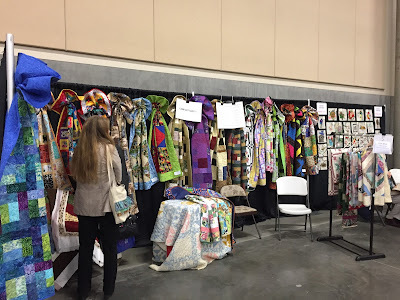 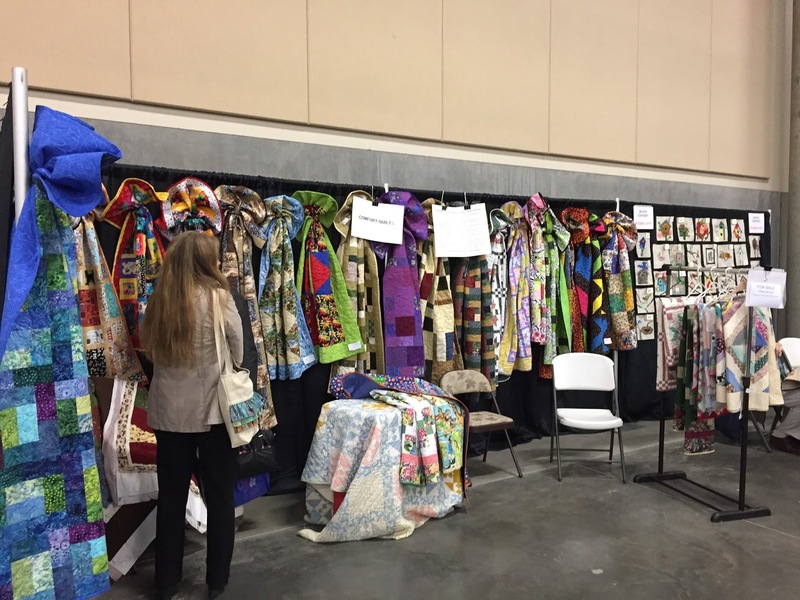 Here are a few pictures of the setting-up stage, some of the quilts, and some of the winners. 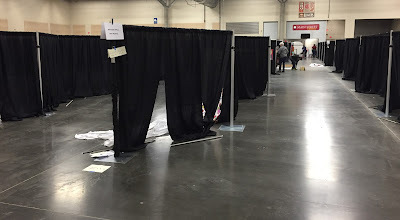 I hope you like looking at the show. 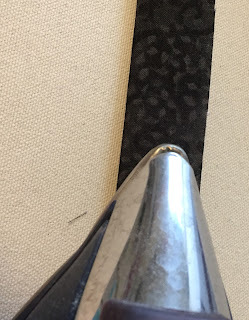 I like to make sure that my bindings are "full" all the way to the edge. 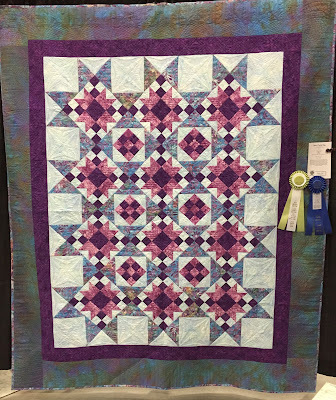 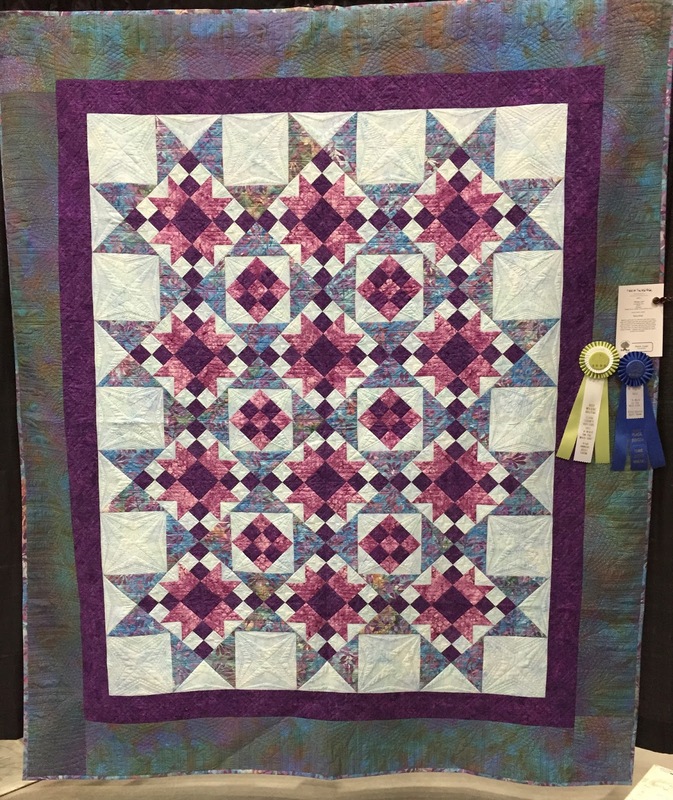 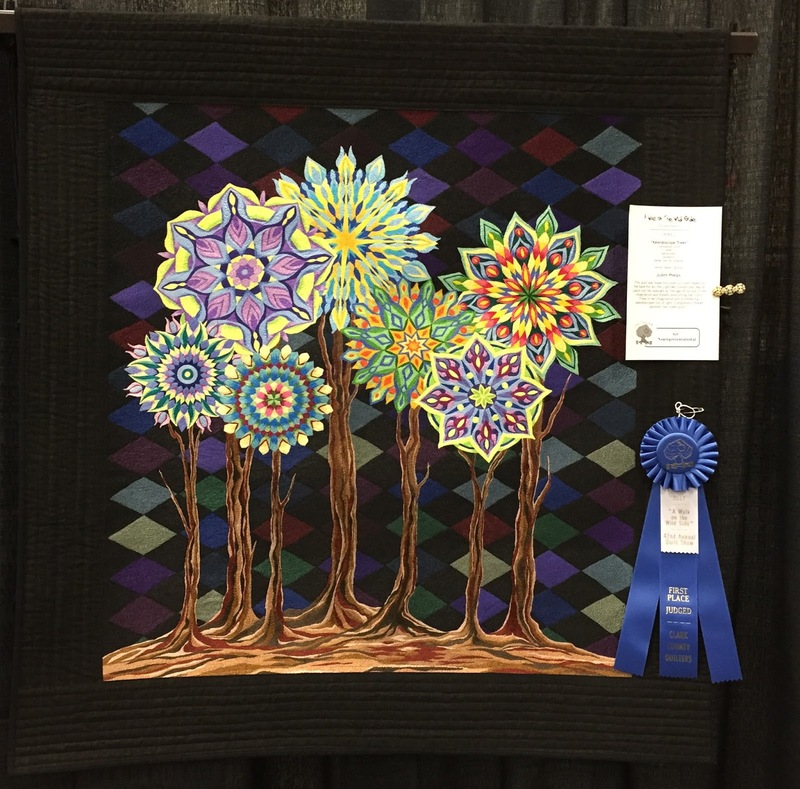 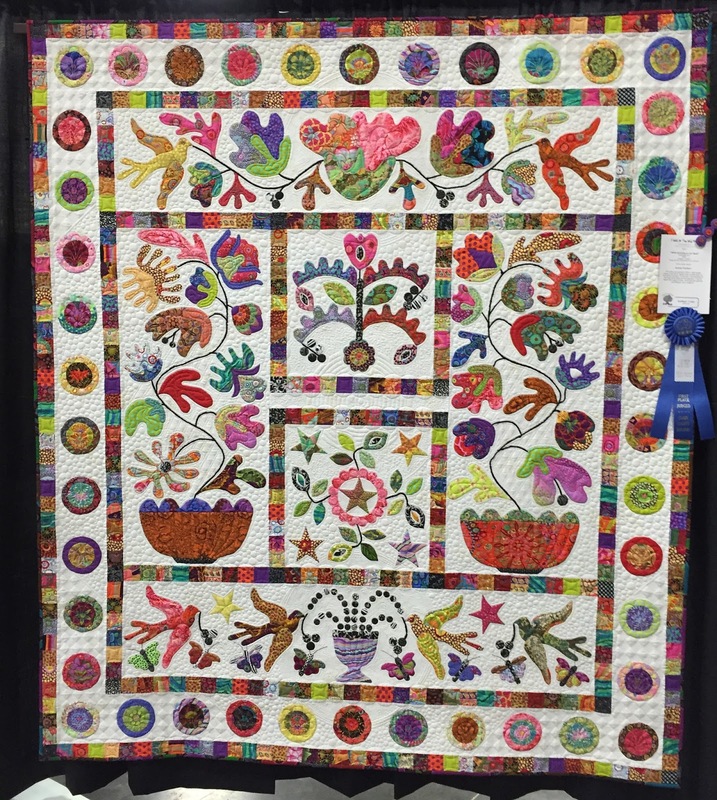 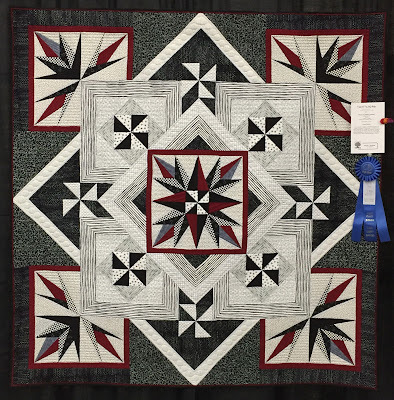 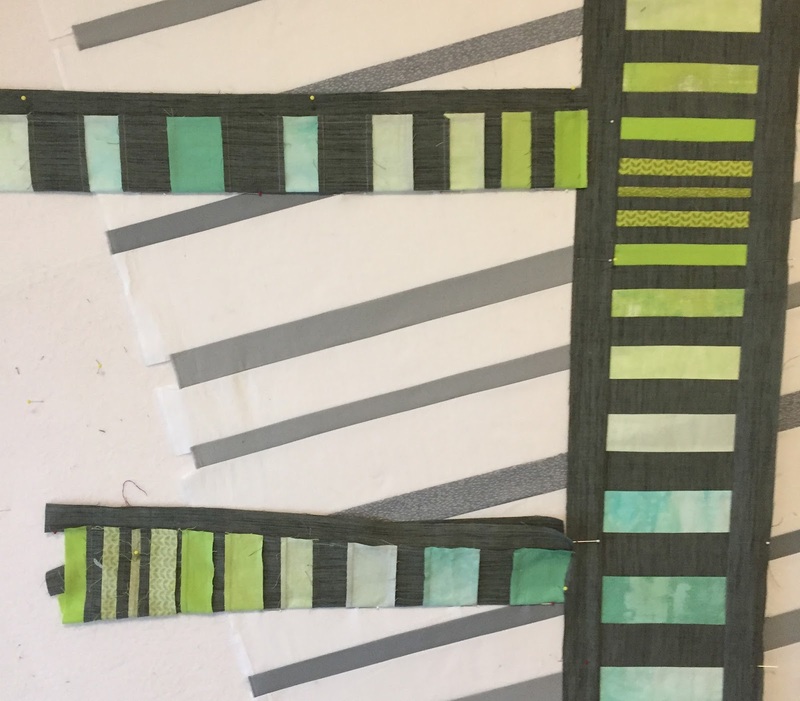 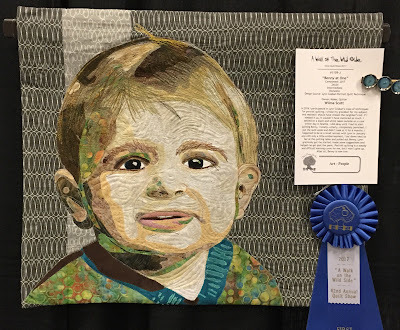 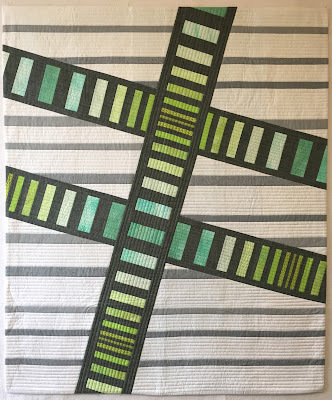 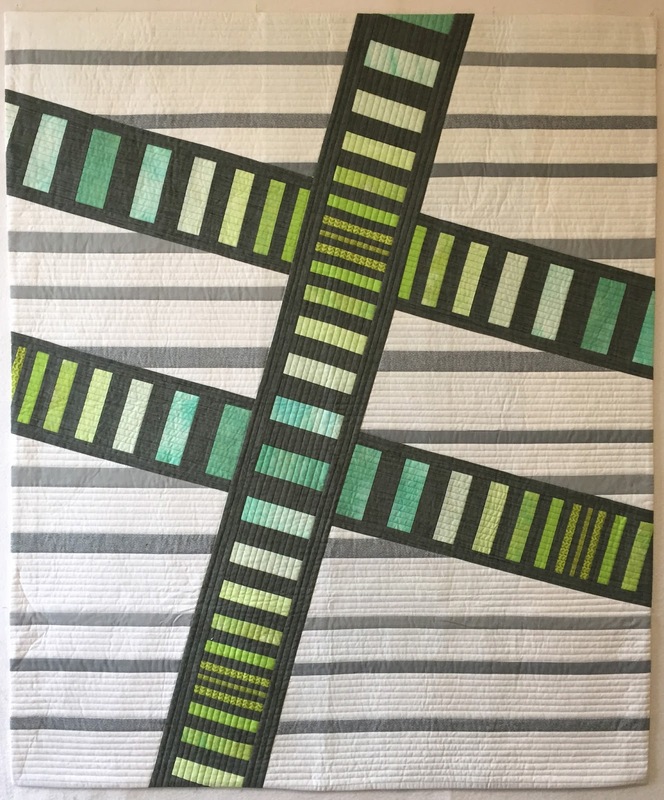 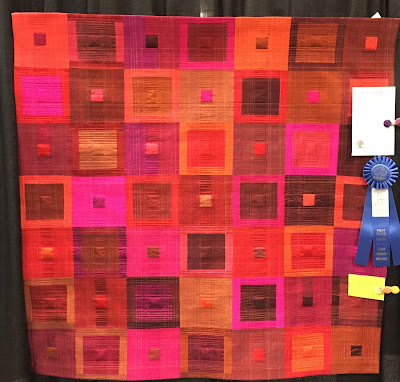 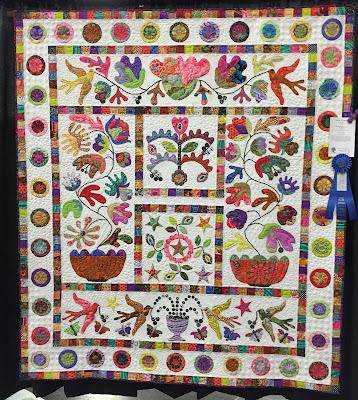 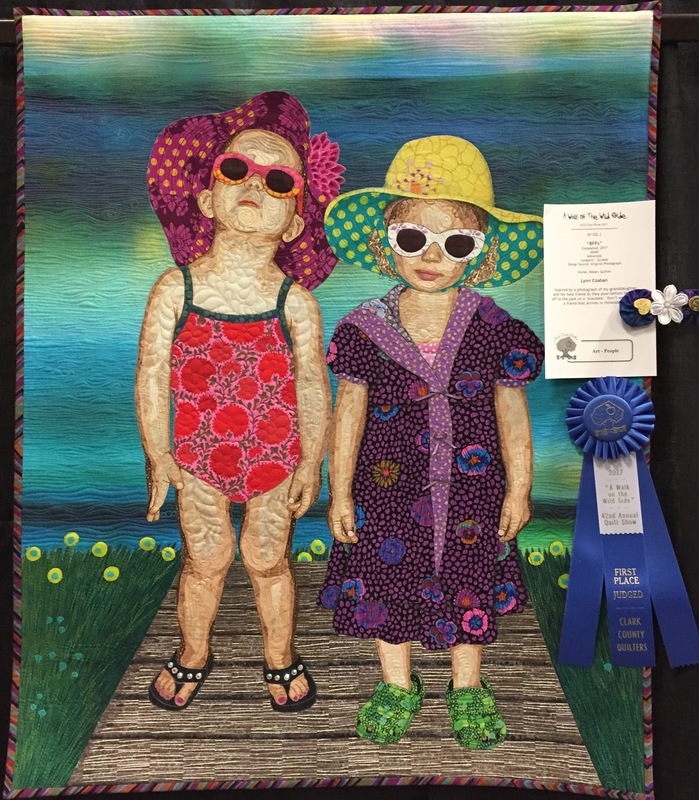 If you have your quilts judged, this is one of the things that the judges scrutinize as they feel all around the edges of your quilt. 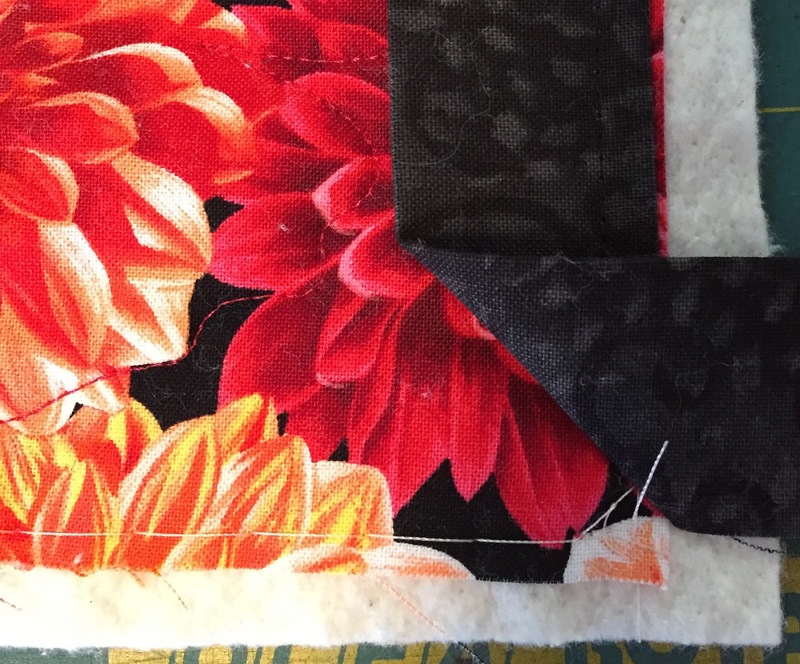 In order to make sure this happens, I sew on the binding a little bit different that most other people. 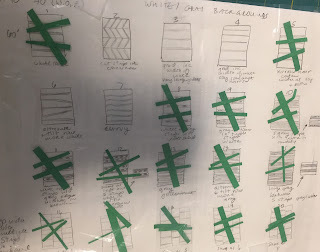 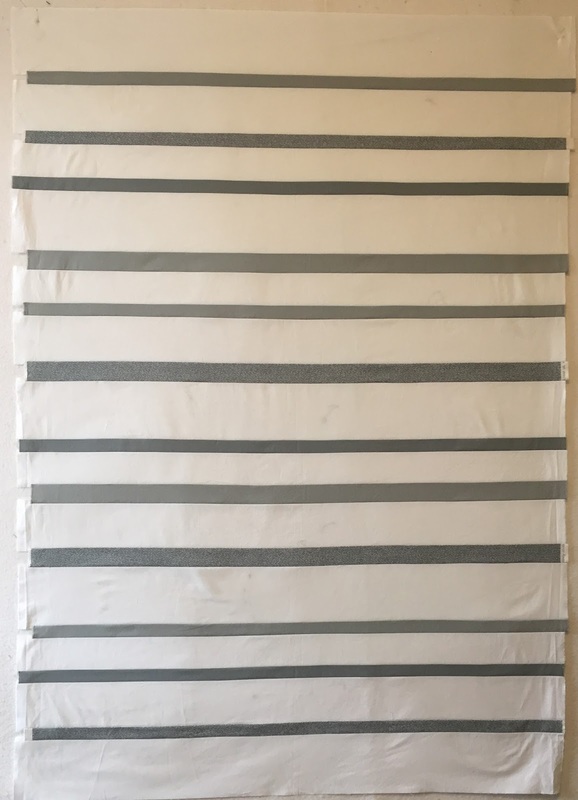 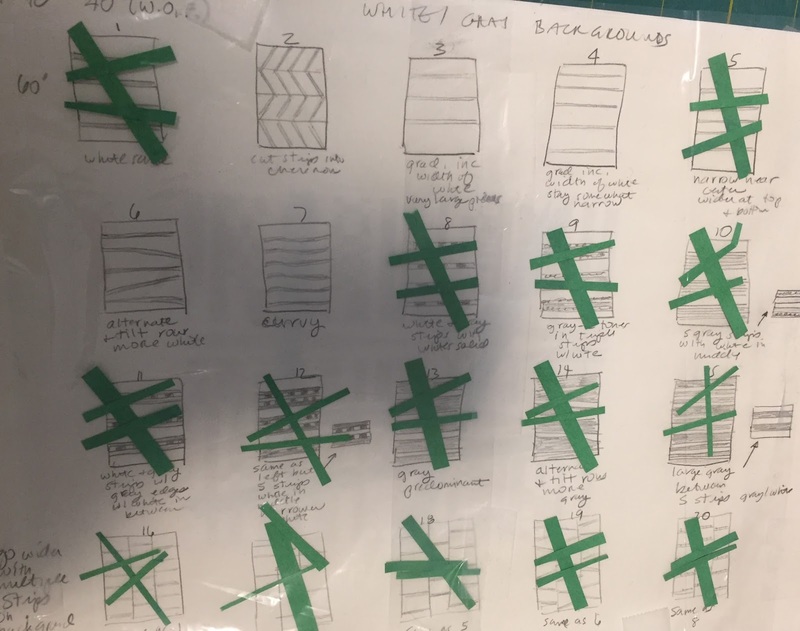 Here are the steps that I follow for my double French binding. Trim your quilt with 1/2" extra on all edges. 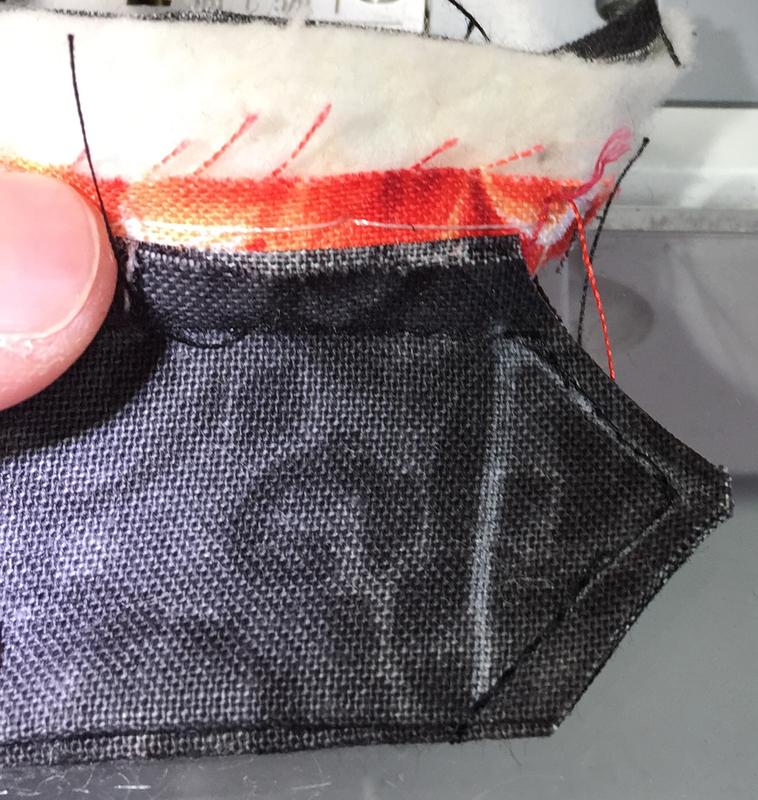 The seam line will be at the 1/4" from the top's edge, but you will have 1/2" extra of batting and backing beyond the top's edge. 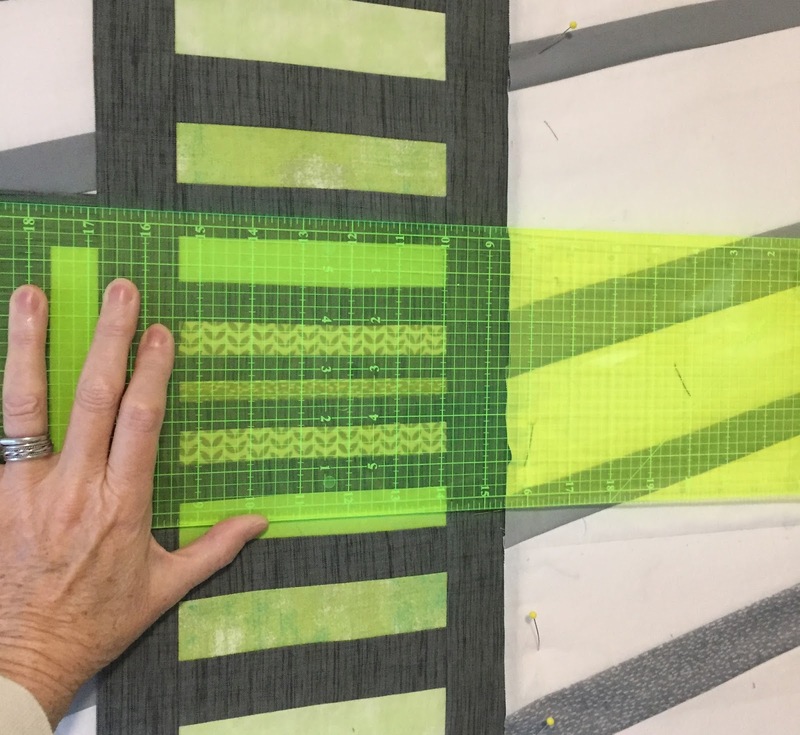 Use very large square rulers and your 24" long ruler to keep the edges and corners crisp. 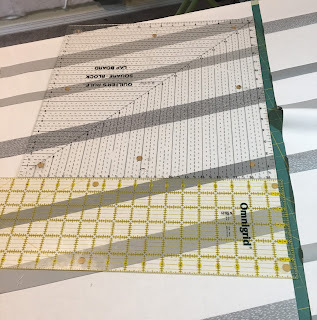 Cut the binding 2-1/2" wide This gives you approximately a 3/8" finished binding. 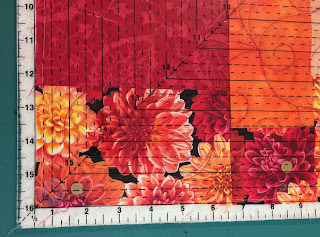 In my mind, this is the most attractive width on most quilts. 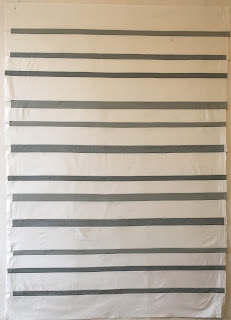 The only time I deviate is on really small wall hangings, where a slightly narrower binding looks good to me. Sew the strips so that the edges are joined on the bias. 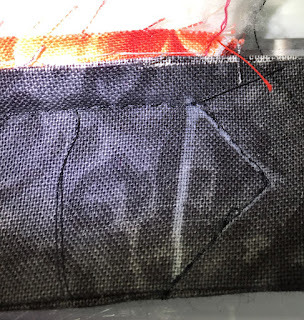 This reduced the bulk at the seams. 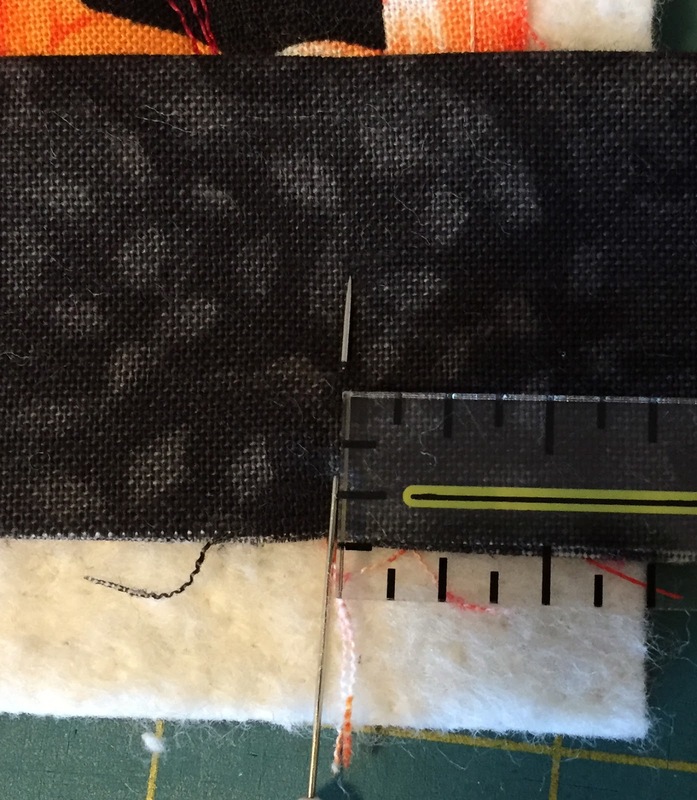 Press the seams open and then press the binding in half lengthwise. 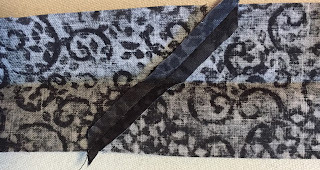 Leaving a small tail (2-3") start at one corner. 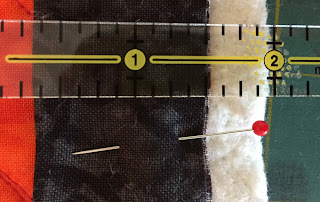 Pin the binding onto the front, leaving 1/2" from the edge of the binding and putting a pin at 3/4" in from the edge. 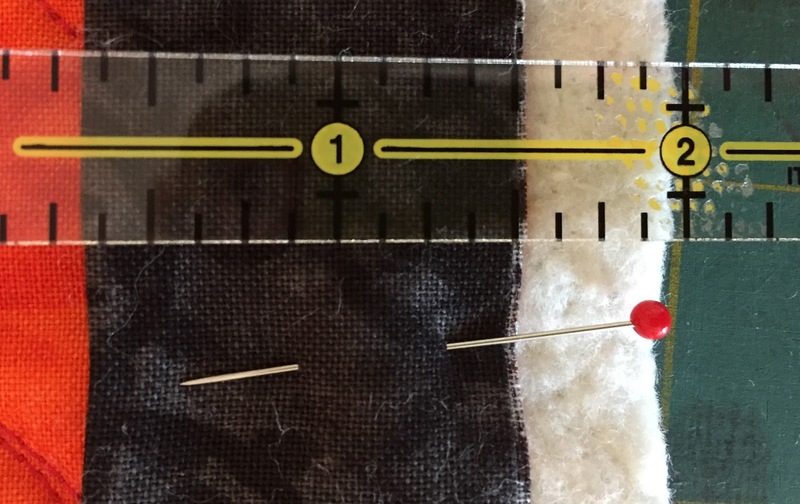 Pin the binding on one side only, putting a pin at 3/4" from the ending edge. 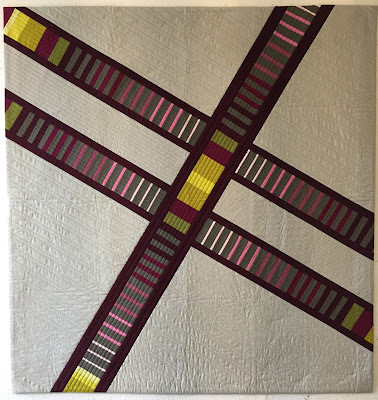 Sew on this binding, using a 1/4" seam from the edge of the binding, or 3/4" from the edge of the quilt. 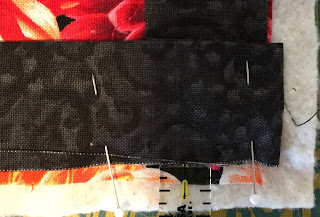 Start and stop at the pins with back-stitches. My walking foot has a little mark at the 1/4", so I line that up with the edge of the batting. 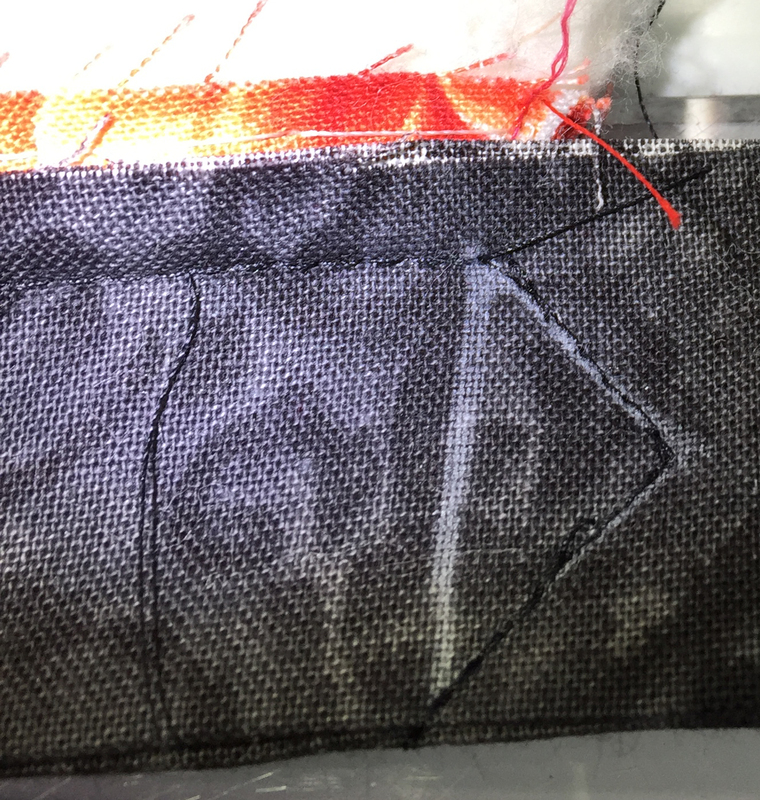 I hope you can see that little mark below. 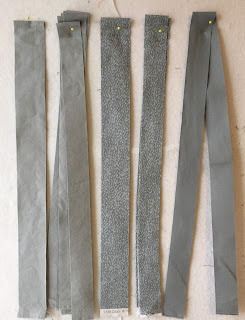 Continue with step 5 and 6 for all the sides. 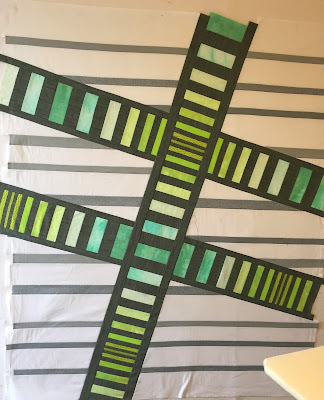 Here what to do at the corners. 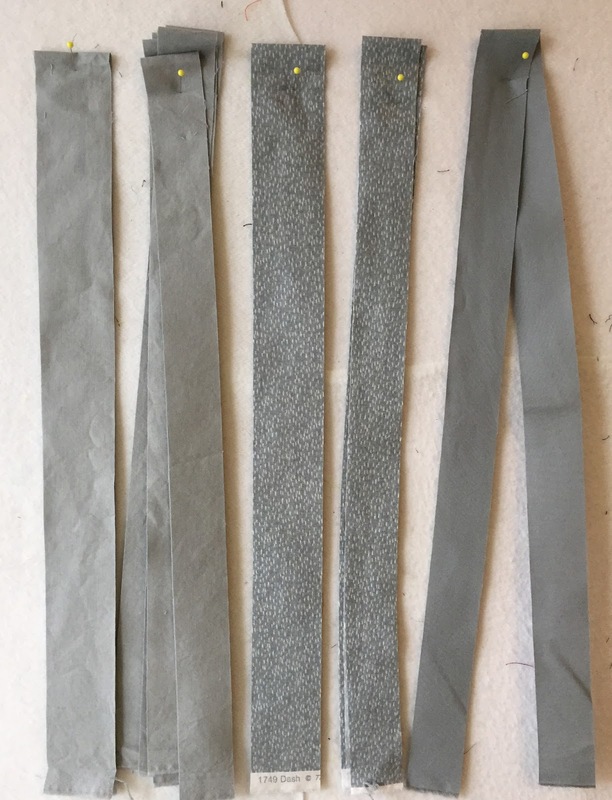 Fold the binding back on itself, leaving the diagonal to the stitching. Fold it back to the next side that will be stitched. 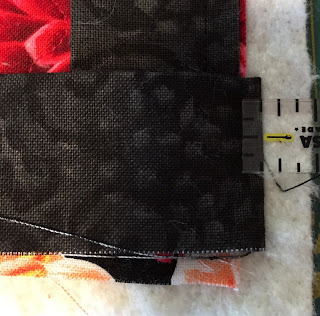 Leave 1/8" extra beyond the edge of the binding, or 3/8" from the edge of the quilt. Pin it in place, leaving that extra 1/2" of batting and backing. 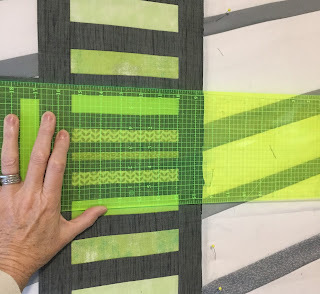 Mark and sew the corner seam where you started and ended. 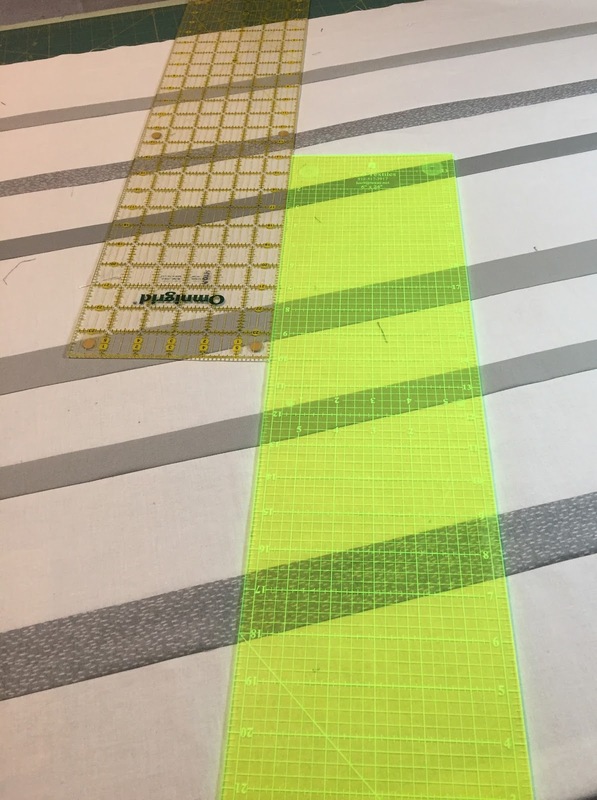 See my previous posts about how to do this. Trim the excess from this corner after it is sewn. 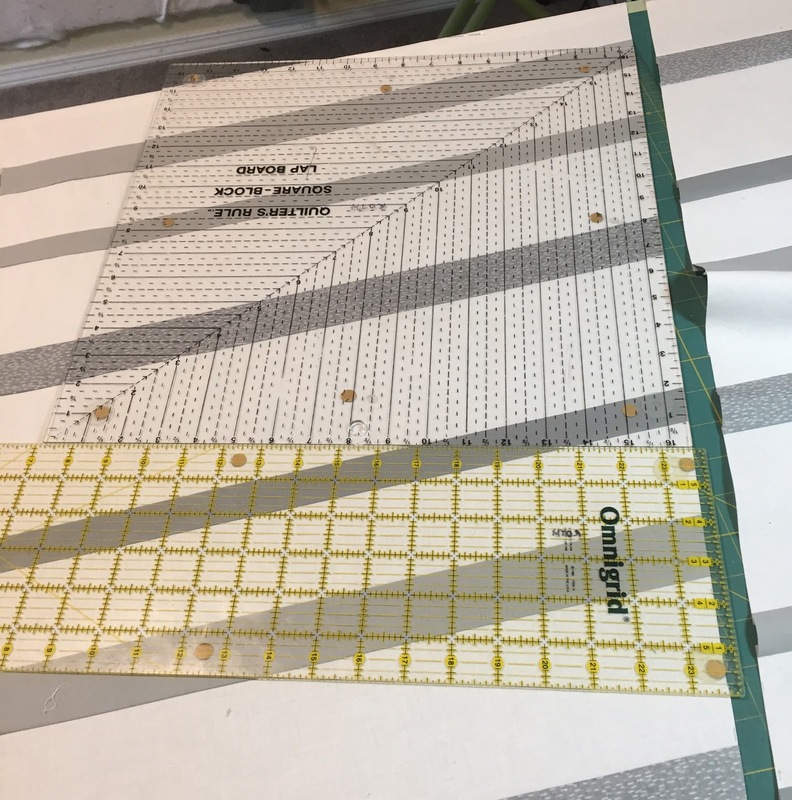 Fold the binding to the FRONT and trim the excess batting and top. 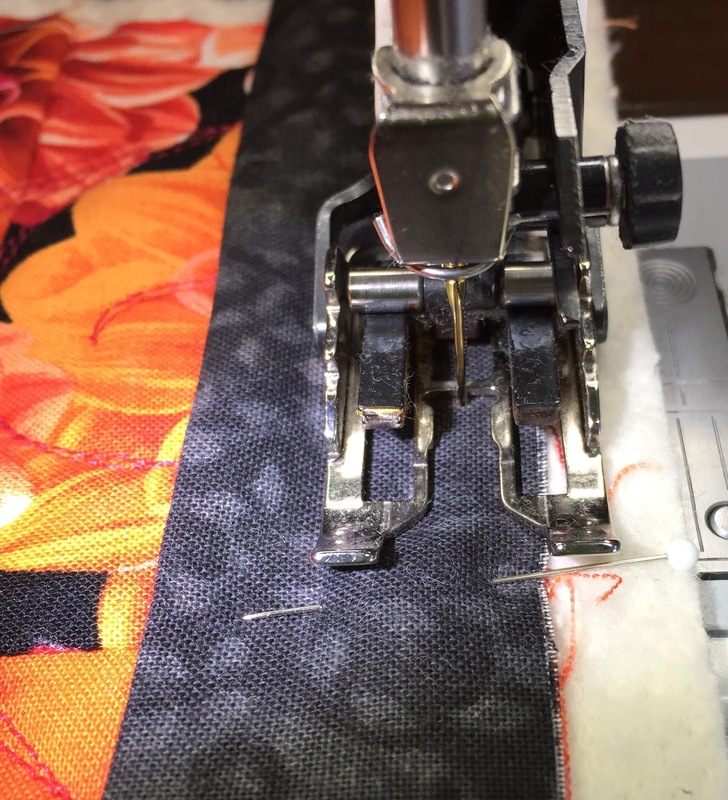 Make sure NOT to cut your binding as you trim away this excess. 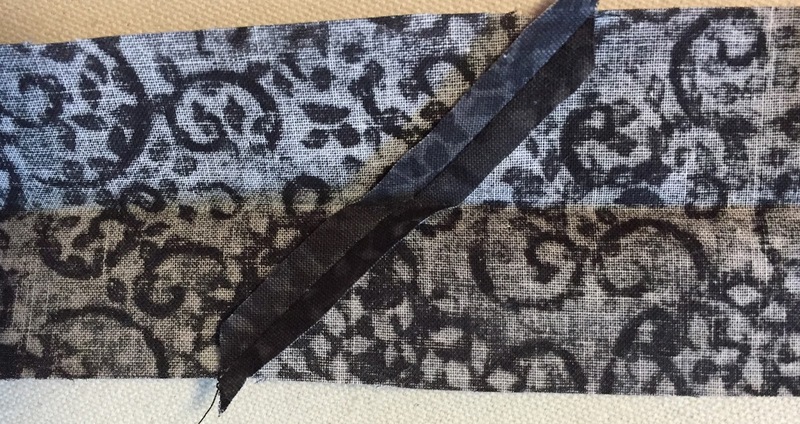 Sometimes, I wait and do this by hand as I'm sewing on the binding. This is the step that insures you have the binding exactly the right size to fill it when its turned to the back. Fold the binding to the back, and hand slip stitch in place, folding the corners as you go. 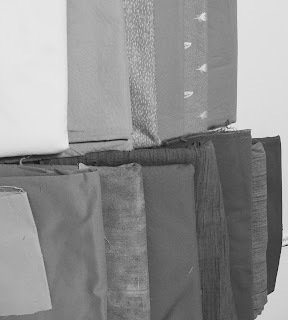 I hope you use this process and like how your bindings are "Full" too.